This has been the “family” boat for the past 7 years or so. 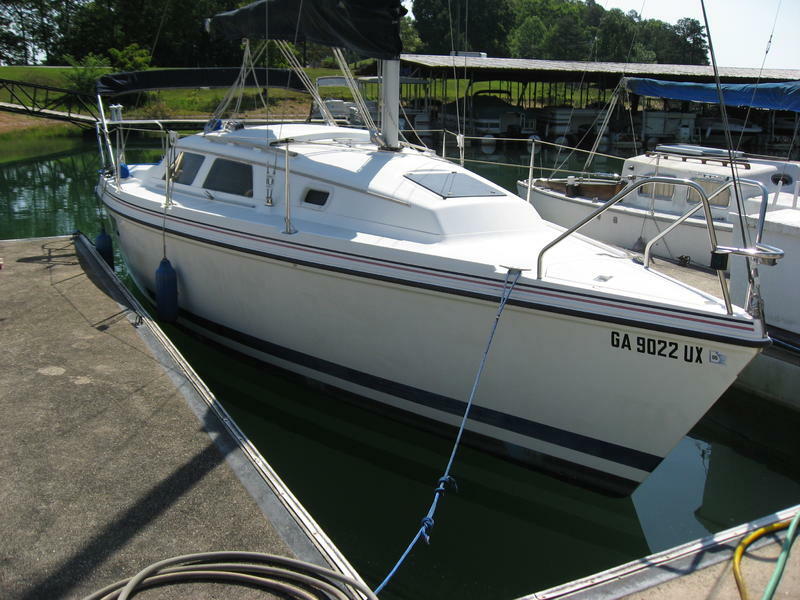 This boat is a 1993 Hunter 27, with full electronics (Wind and Hull Speed, Wind Direction, Compass, and Depth Indicators). The boat sleeps 6 with an indoor cabin, head, sink, and alcohol burning cook top. The boat is steered by a tiller. The pictures speak for themselves. If interested, please contact Ted Mauldin (owner) directly at tedmauldin@yahoo.com or (# removed) (cell).